Miniature Life ring found on eBay. It measures 8" by 8" and is about 1 1/2" thick. 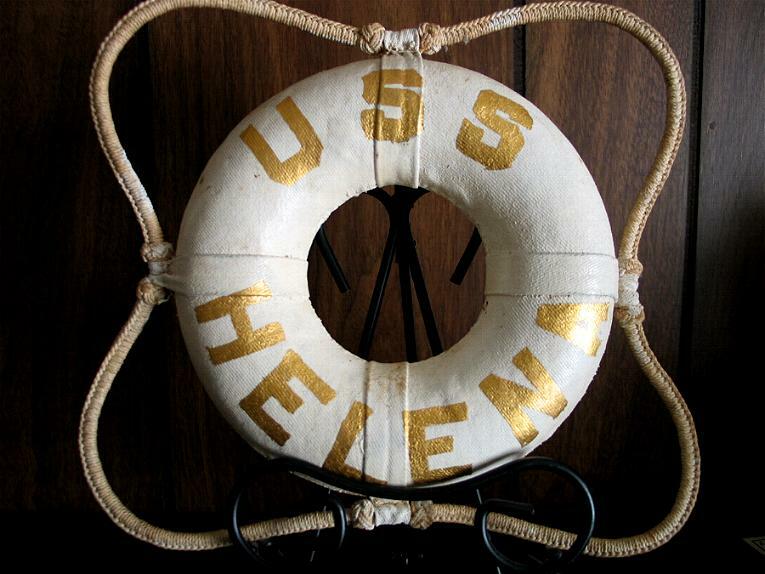 Reported to have been used as a table decoration for special occasions on the USS Helena CL-50. 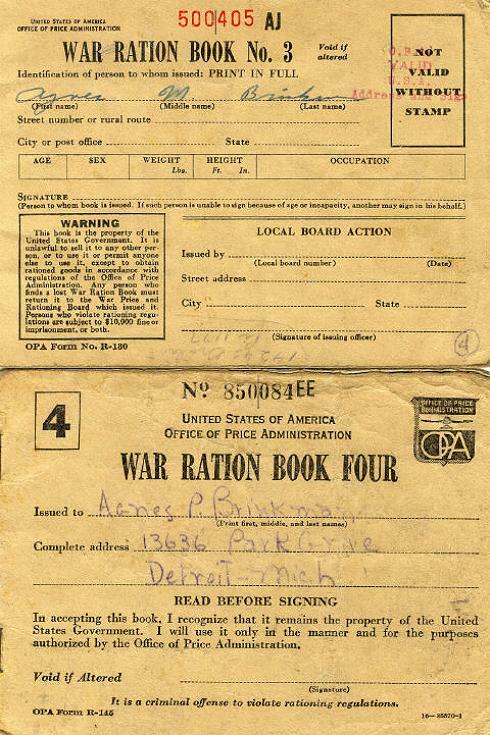 WW II War Ration Books issued to Miss Agnes Brinkman in Detroit. 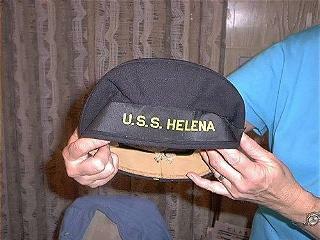 Now wife of Charles McClelland USS Helena CL 50. 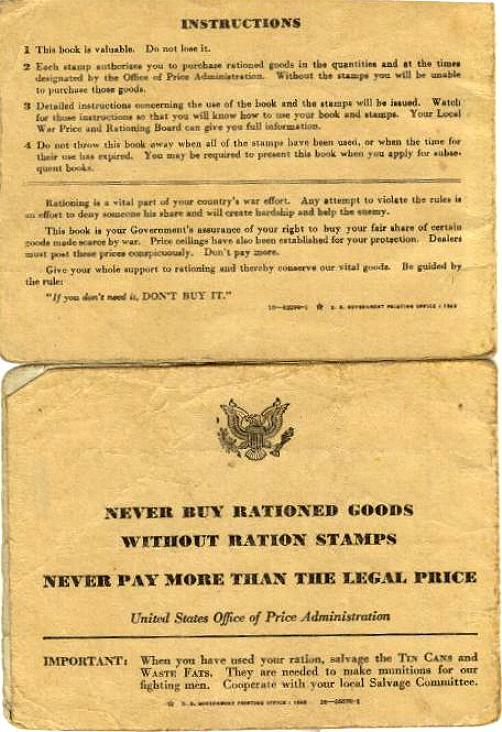 Some of the items rationed during WW II were Sugar, Butter, Coffee and Meats. Also Shoes, Gasoline, Fuel Oil and Tires. 8 pages of names of the December 1940 U.S. Helena CL-50 crew. 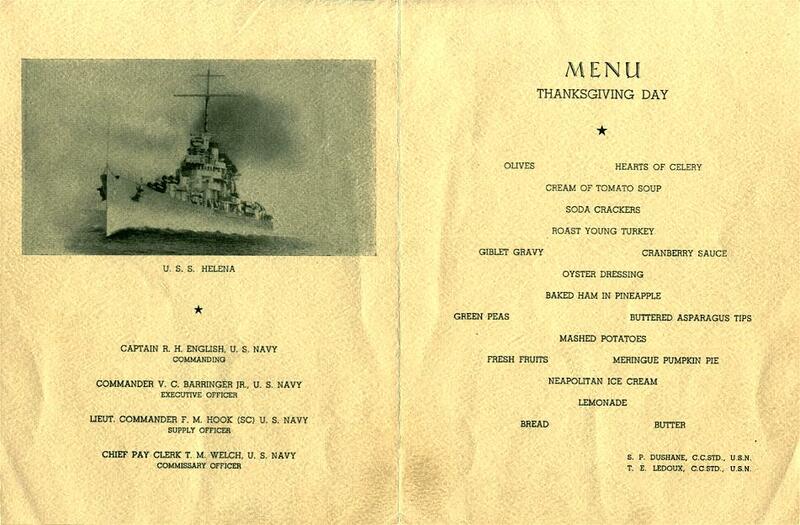 The menu that follows was found on eBay and is now the property of the USS Helena Organization. When closed, this menu measures 5 3/8 inches wide by 7 inches high. 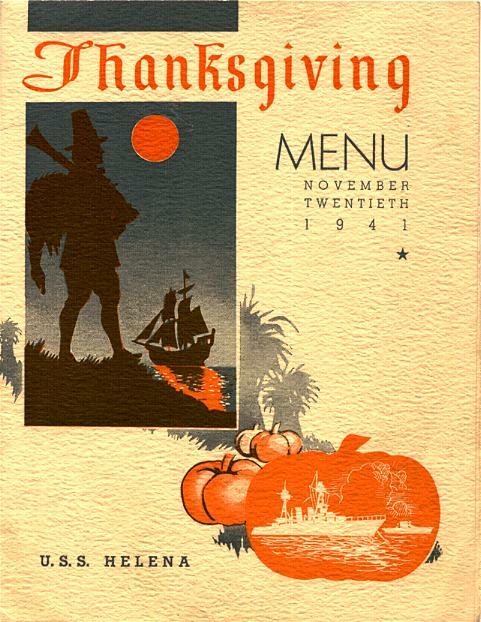 When opened, this menu measures 10 3/4 inches wide by 7 inches high. The Headlines of the Detroit Times as it appeared in the Detroit, Michigan Newspaper. Friday July 9, 1943. 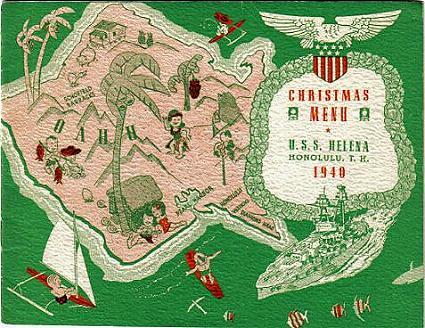 I believe it was written by Lt. C. G. Morris, USNR, Radio Officer on the USS Helena. The story was published before any next of kin were notified. 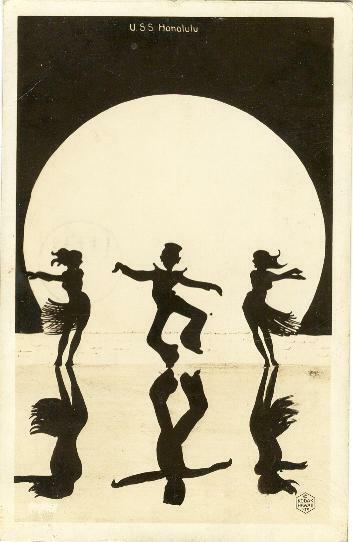 This post card, mailed from Honolulu, Hawaii post marked March 9, 1941, was sent to Mr. & Mrs. C. R. McClelland at 7200 Iowa, Detroit, Mich. from Jim & Bill McClelland. It reads " Hello! Everything out here is O.K. We're getting along fine. Some post card. Jim & Bill". This is just after Bill joined Jim on the USS Helena and they made liberty together.